Oliver Coates - Shelley’s On Zenn-La. Vinyl LP, CD. Bleep. 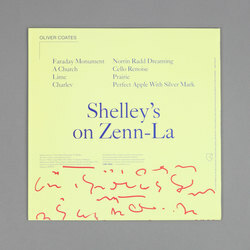 Shelley’s On Zenn-La is the new album from highly acclaimed cellist, inventive composer and producer Oliver Coates. 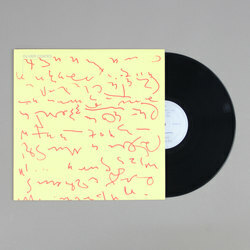 His debut recording for RVNG Intl. 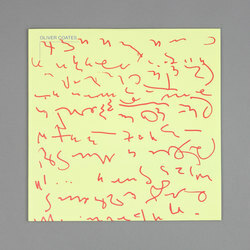 having worked with everyone from The London Contemporary Orchestra, Elysia Crampton and Jonny Greenwood and released two breakthrough albums in 2016, the Mica Levi collaboration 'Remain Calm' and his debut solo album 'Upstepping' (a firm office classic here that still receives much deserved regular spins) Oliver Coates is easily one of the most exciting musicians in the world right now and Shelley’s On Zenn-La is truly mind-blowing material of the highest calibre. In his own words, "Shelley’s On Zenn-La designs a complex of bending truths and reverse walkways to vernal states. Open ears can peer down hidden aux channel corridors, while melodic patterns present two-way mirrors to rooms of other retinal colors. An endless euphoria is just beneath the dance floorboards of Shelley’s, and an inquisitiveness unencumbered by the institution of knowledge surrounding its frame and inhabitants. Shelley’s on Zenn-La was made between the Elephant and Castle neighborhood of London and a future dreamscape. In this realm out of time and space, Shelley’s (Laserdome) – a once-legendary late 80s / early 90s nightclub in the industrial town of Stoke-on-Trent in the north of England – can simultaneously exist on the fictional planet of Zenn-La, and can house a devotional, alien ritual of early UK rave culture, pioneering IDM, and deep minimalism." Shelley’s On Zenn-La builds new blocks on his work as a classical cellist and his knack for producing seriously banging club gear from the most surprising sources of sound. If you are into Stingray, Boards Of Canada, Laurie Spiegel and Arthur Russell or have a healthy love of leftfield drum & bass, bubblegum electro and euphoric future-pop than Shelley’s On Zenn-La is sure to hit high on your radar. 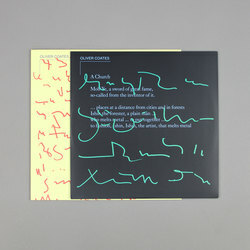 By far one of the year's very best albums of truly intricate and fully forward-focused dance machinations.